Headgears There are 97 products. Very nice genuine WWII US M1 shell helmet with fixed bales manufactured by McCord in early 1942 with 1st type canvas strap with brass buckles. That shell was painted in grey-blue, color of the US Navy, with a white propeller and a "1" hand painted on rear. Superb genuine WWII US M1 helmet, fixed bales, manufactured by the McCord (1942), original 1st pattern canvas straps with brass buckles, comes with its 1st pattern liner type Hawley with rayon canvas straps. Both were painted in blue/grey color typical for the US Navy, with a red marking stenciled in front of the helmet shell USN 18. Genuine WWII US M1 Captain second pattern (1943) helmet liner, in compressed canvas impregnated with synthetic resins, made by inland with unpainted A washers. Light OD canvas, torn at some a washers. Named to Vickers, painted on front. Genuine WWII issue US army M1 helmet liner. Complete with original outer green. 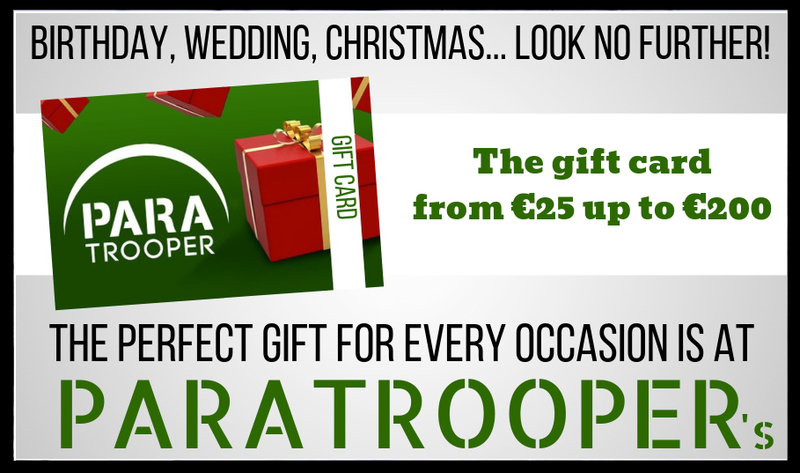 Manufactured by International Molded Plastics with green A washers and OD canvas. With sweatband. This liner has the named Varellas on tape on front and a sergeant Tech/4 rank. Genuine WWII Canadian army small mesh helmet net, 2-tones camo brown and green. Very good overall condition. Also seen being worn on US helmets. Genuine WWII US M1 Chief Warrant Officer second pattern (1943) helmet liner, in compressed canvas impregnated with synthetic resins, made by Firestone. Rank painted on front. Genuine WWII issue US army M1 helmet liner. Complete with original outer green. Manufactured by Mine Safety Appliances with green A washers and OD canvas. With sweatband. This liner has the named Euteneuer painted on front. Genuine WWII issue US army M1 helmet liner. Complete with original outer green. Manufactured by Westinghouse with black A washers and OD canvas. With sweatband. Mint condition. Genuine WWII US M1 2nd Lieutenant second pattern (1943) helmet liner, in compressed canvas impregnated with synthetic resins, made by Firestone with unpainted A washers. The metal 2nd Lietutenant rank is glued on front. 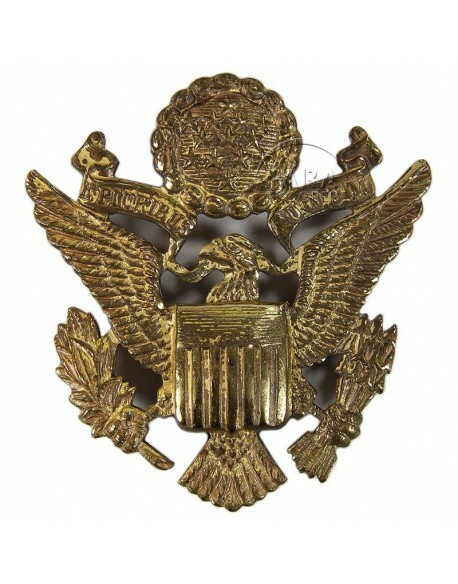 Great genuine WWII US Officer's cap insignia (metal eagle), screw back. Manufactured by Luxemberg, Made in England. 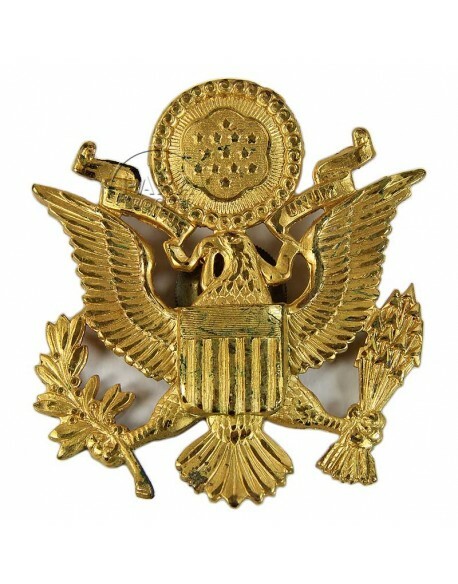 Great genuine WWII US Officer's cap insignia (metal eagle), screw back. Manufactured by Amcraft. Rare genuine WWII US M1 helmet with swivel bales, and a Shooting star painted on each side. This is the distinctive insignia of the 504th PIR. Genuine WWII US M1 helmet, fixed bales, manufactured by the McCord (1942), original 1st pattern canvas straps with brass buckles, comes with its liner with black A washers manufactured by Westinghouse. The marking U.S. Navy is stenciled on the back with a grey paint, originaly painted. Genuine WWII USM1 fixed loop Capt. Helmet pot with "follow me" officer stripe. Manufactured by McCord, shell n° 679. Early canvas strap with 2nd type brass buckle. Capt. rank welded in front and vertical ETO bar "Follow Me" on the back. Westinghouse liner with Capt. 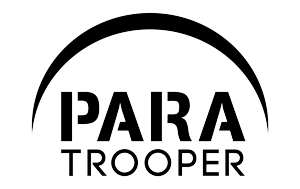 rank painted but without "follow me" stripe. Liner with black A washers. Genuine WWII US M1 helmet, fixed bales, manufactured by the McCord with a shell number 120 A (1942), original 1st pattern canvas straps with brass buckles, complete with its liner, OD green A washers manufactured by Firestone. 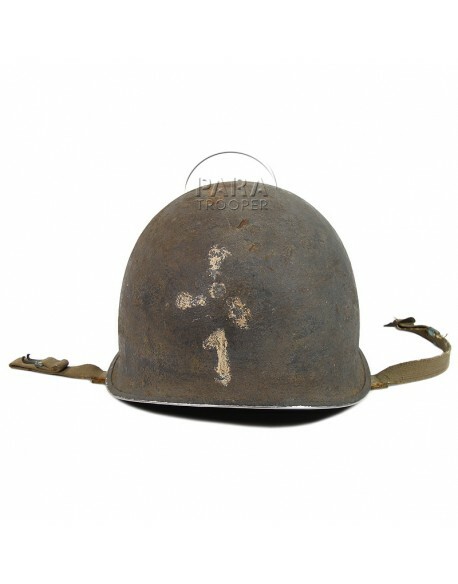 Genuine WWII US 2nd Lieutnant M1 helmet, with fixed bales and straps with brass buckle, 2nd type. The shell is manufactured by McCord. A 2nd Lieutenant rank is painted in front of the shell. The liner is manufactured by Seaman Paper Co. with blackened brass A washers. A second Lieutenant rank is glued on front. Both are named to Lt. Shelton.